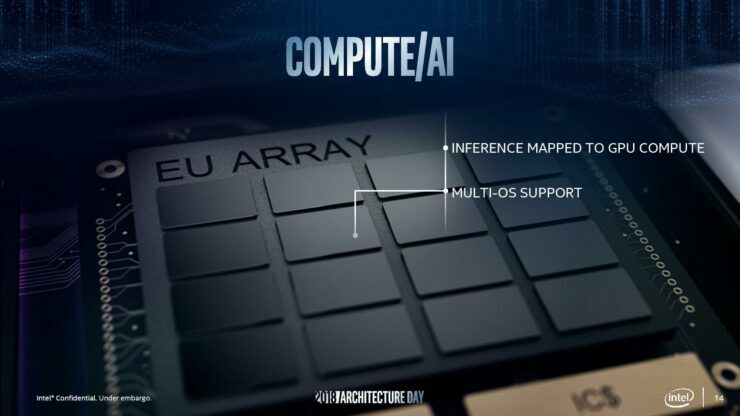 Intel’s latest graphics drivers which come with the new Graphics Command Center that was unveiled a few days ago at GDC 2019, also lists down a range of upcoming Gen 11 GPU SKUs. Intel’s Gen 11 GPU architecture will be embedded inside their next-generation Ice Lake CPUs, powering both desktop and mobility solutions. 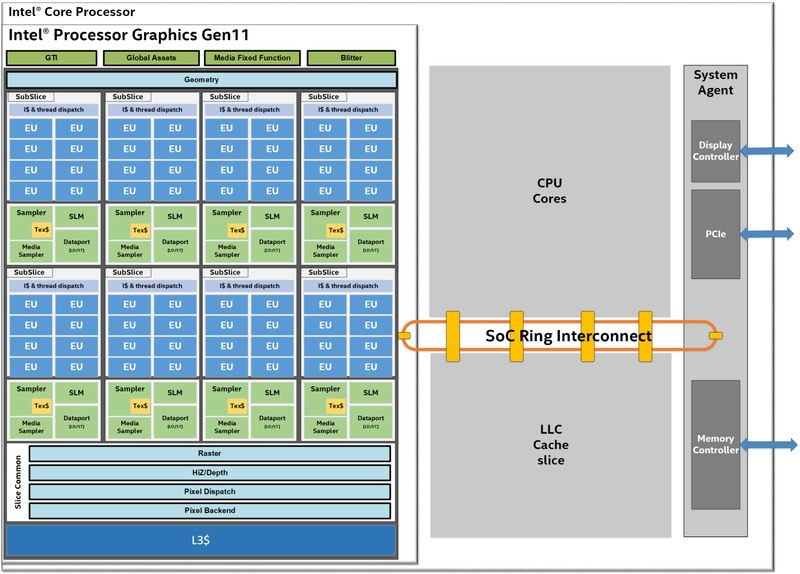 There are going to be several variants of the Gen 11 graphics chip as mentioned by TechPowerUp. 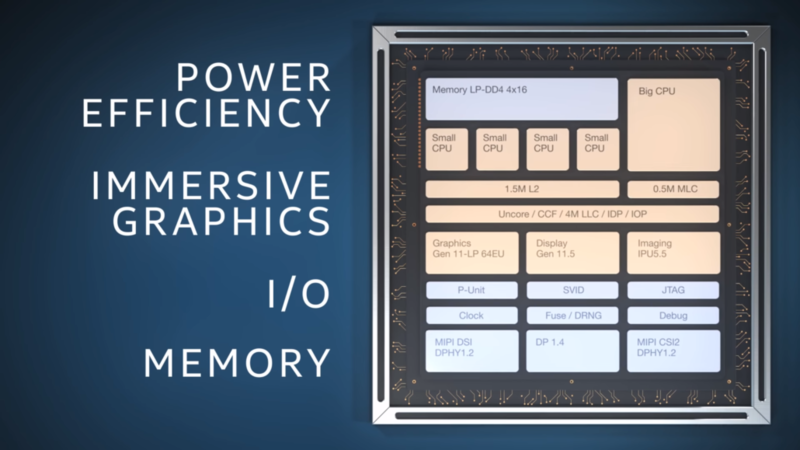 We know that the Gen 11 GPU will be used in upcoming processors based on the Sunny Cove CPU architecture and those not only include the Ice Lake family but also the Lakefield family of SOCs that are using Intel’s Forveros 3D die stacking technology. Starting with the top of the line Iris Plus Graphics 950, this chip will come in a single configuration on the Ice Lake platform. 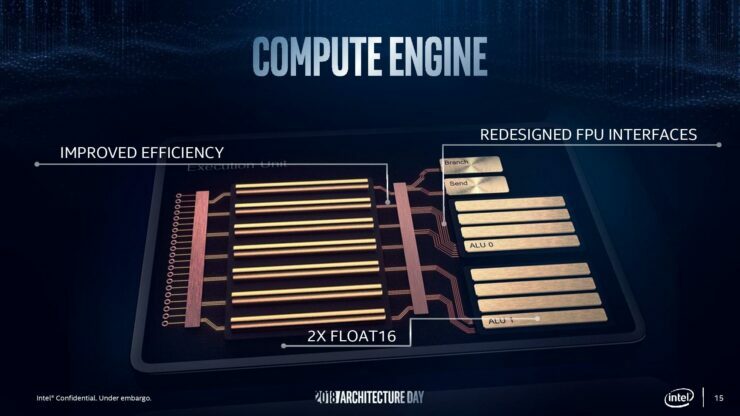 It will be designated as a GT2 tier chip and will feature 64 EUs along with higher clocks than the rest of the lineup, making it easily top the TFLOPs barrier that Intel is aiming with their Gen 11 graphics architecture. Next up, we have two Iris Plus Graphics 940 GPUs which are also designated as GT2 tier chips but come in either 64 or 48 EU configurations. The Iris Plus Graphics 930 is similar to the Iris Plus Graphics 940, making use of two variants, a 64 EU and a 48 EU config but with lower clock speeds than the Iris Plus Graphics 940 GPUs. We have already seen some early performance numbers of Gen 11 graphics in Ashes of The Singularity and GFXBench which are very interesting and highly competitive against existing integrated graphics solutions and also some entry-level graphics cards. 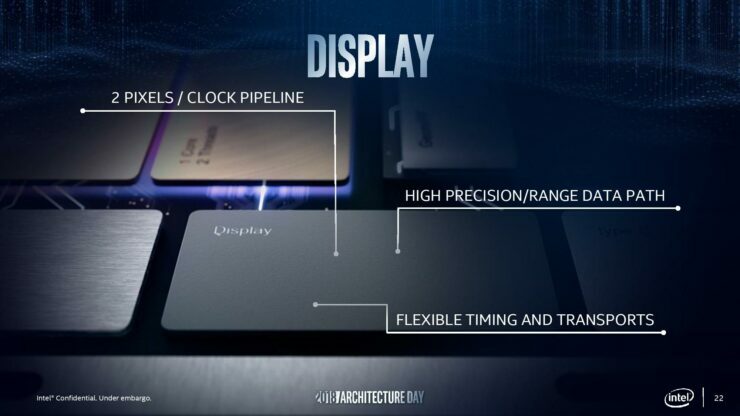 Intel will also have their non-Iris, UHD Graphics chips for Ice Lake processors. 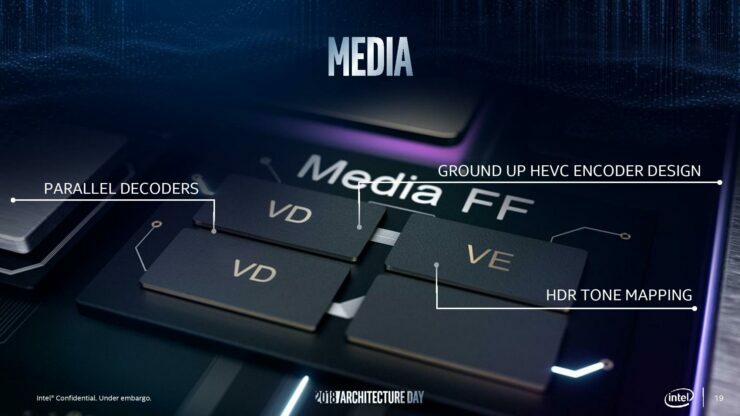 These will include the UHD Graphics 920 with 32 Execution Units (GT2 Tier) and the UHD Graphics 910 that will also come with 32 Execution Units (GT2 Tier) but at lower clock speeds. There are several other Gen 11 LP variants listed that come with either 48 or 32 EUs and will be supported by U and Y series Ice Lake processors so basically aimed at mobility platforms. There are also GT0 variants listed but these could be processors with integrated graphics disabled. Intel recently introduced desktop 9th generation parts with graphics chip disabled so they might be making a similar type of CPUs for their upcoming desktop family. 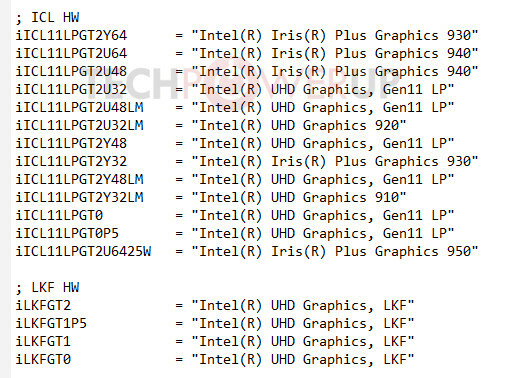 Lastly, Intel will have four UHD Graphics variants for their Lakefield SOCs which will come in GT2, GT1 and GT0 SKUs. Based on the little information we have from the other variants, the GT2 chips would support 64 EUs while the GT1 tier chips would support either 32 or lower EUs on the LKF (Lakefield) SOCs. 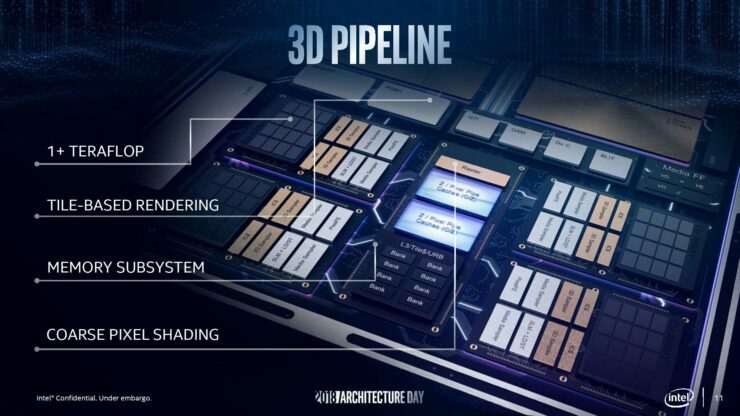 Intel has revealed some details of their upcoming Gen 11 GPU architecture which will be arriving this year on Ice Lake-and Lakefield based CPUs. According to Intel, the Gen 11 graphics will be based on the 3rd Generation, 10nm FinFET process node and would support all major APIs such as DirectX, OpenGL, Vulkan, OpenCL, and Metal. 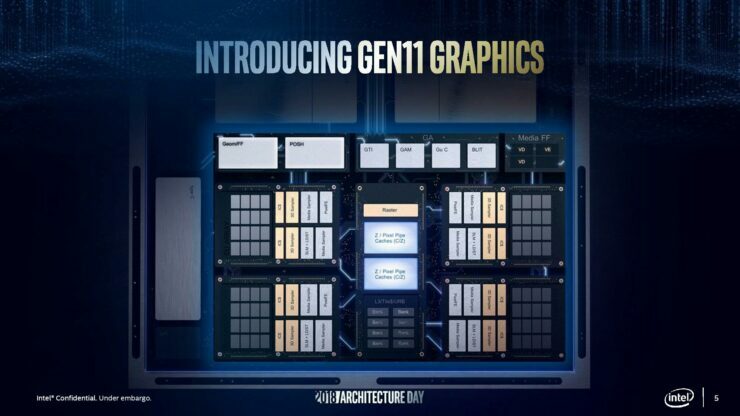 The key features of the Gen 11 graphics will be to enable significant performance per watt uplifts to Intel’s graphics architecture by offering a solid design built from the ground up. Looking at the SOC design, the Gen 11 graphics core would be taking up the majority of space when compared to the CPU cores and LLC (Last Level Cache). The chips will be interconnected via the SOC ring interconnect. 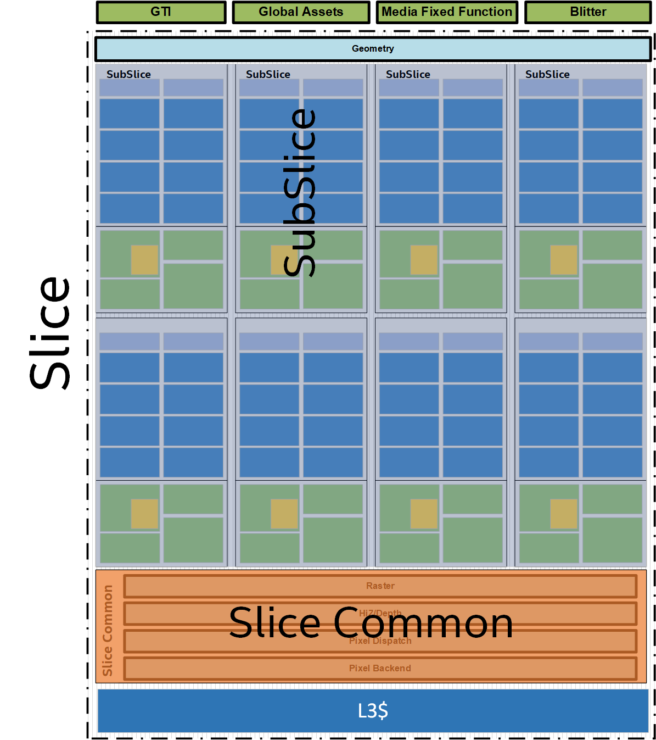 Intel is utilizing their Slice architecture design and calling it an evolution from the previous graphics architectures. 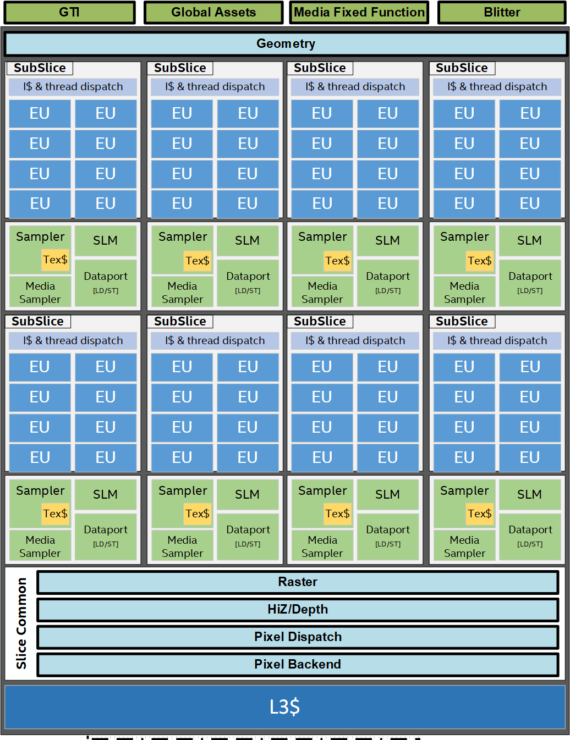 The Gen 11 Slice is made up of various sub-slices that include up to 8 EUs and 3D fixed function geometry while the slice as a whole includes the L3 cache and the render pipeline. Intel’s Ice Lake and Lakefield SOCs are said to debut in the second half of this year so expect more news to follow up in the months ahead. 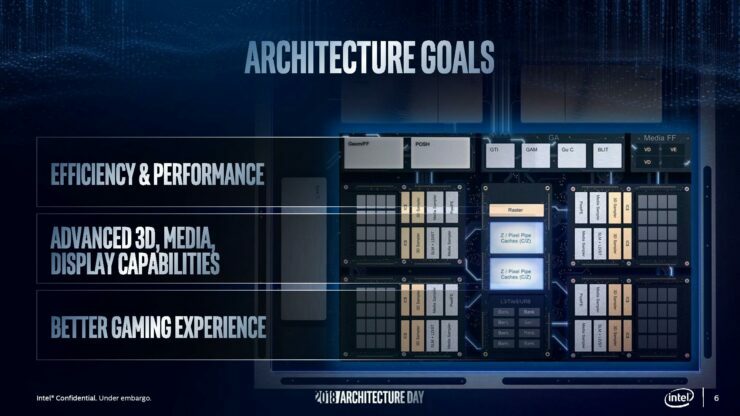 What would you like to see in Intel's upcoming discrete graphics lineup?